With Apple trying to focus a little more on women at today’s WWDC 2015, HealthKit from the company also got female-friendly, as requested by half of the world! Lack of health tracking features specific to females have been a source of strong criticism for Apple since the launch of the HealthKit last year. This was mostly blamed on the almost male-exclusive leadership at the company. As Arielle Duhaime-Ross of The Verge noted last year, “is it really too much to ask to that Apple treat women, and their health, with as much care as they’ve treated humanity’s sodium intake?” Apple’s decision or rather oversight to leave out one of the most important health factors for a woman raised many eyebrows. Today, Apple has tried to rectify that omission by addressing the issue. iOS 9 HealthKit brings the popular feature request of tracking reproductive health including logging of menstruation data. 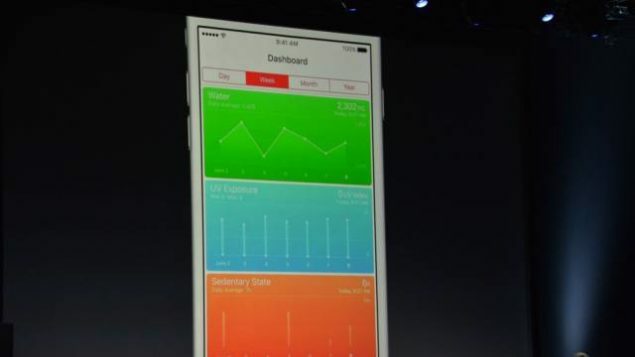 Yep, finally women will be able to track their period with Apple’s Health app. Along with the above, Apple has announced a bunch of other HealthKit metrics too including UV exposure, time spent sitting, tracking of water intake, and more such metrics. These new iOS 9 Health app features will be available later in the year as a free update to current users. Apple released the first iteration of its fitness tracking app last year calling it “Health” for iPhone. HealthKit SDK helped users to track weight, Vitamin D intake, blood glucose, and many other metrics that you could imagine of, excluding women’s period. Introducing reproductive health metrics, Apple seems to have finally realized that women exist and they too need some health metrics. About time?